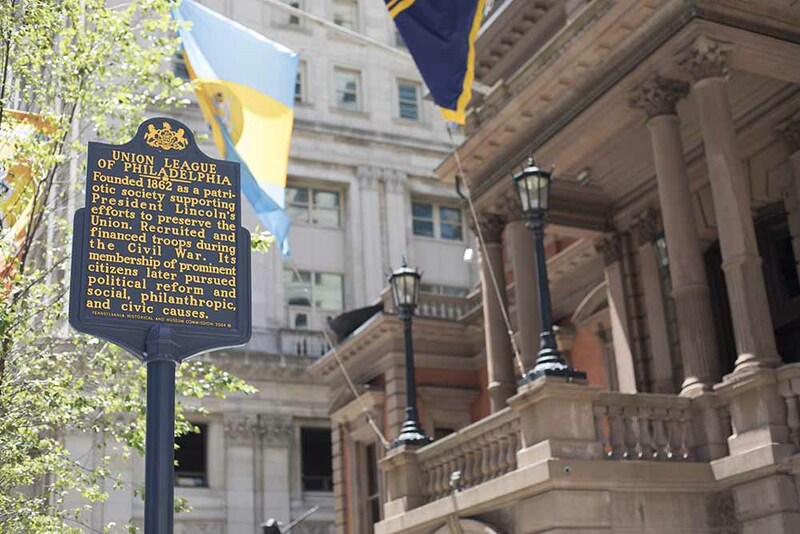 Join fellow resident and ambassador, Donna Parisi, for a complimentary tour of Philadelphia’s Union League. Transportation will be provided upon request. Dress code required. Please see below. It is the intention of the dress code to provide guidelines within which each Member is expected to demonstrate discretion and good judgment. It is the responsibility of each member to conform to the dress code and to ensure that family members and guests do so as well. All children in the League House are expected to be appropriately attired, and children over the age of twelve are required to conform to the dress code. Jacket and tie are strongly preferred. Jacket and collared shirt are required at all times on the first floor members-only section of the League House. Not Permitted: turtlenecks shirts, collared shirts open more than one button, untucked shirts, jeans, t-shirts, sneakers, and flip-flops. Business suits, tailored pant or skirt ensembles and dresses. Not Permitted: spandex, open midriffs, halter tops, shorts, leggings, extremely short hemlines (not more than 3″ above the knee), jeans, t-shirts, sneakers, and flip-flops.